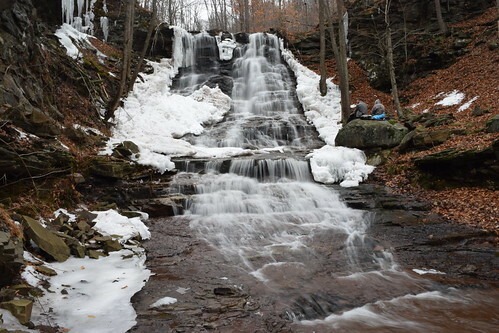 The Waterfall Gorge and Mythical Falls illustrate just how beautiful SGL 57 is for those willing to explore it. 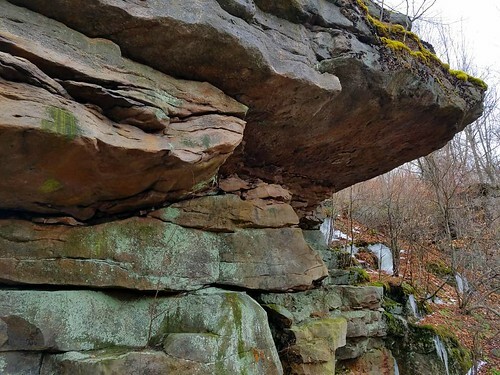 This area of the gamelands is particularly isolated and beautiful, with several waterfalls, gorges, and unique rock features. We began by walking down Southbrook Road for about 4 miles. 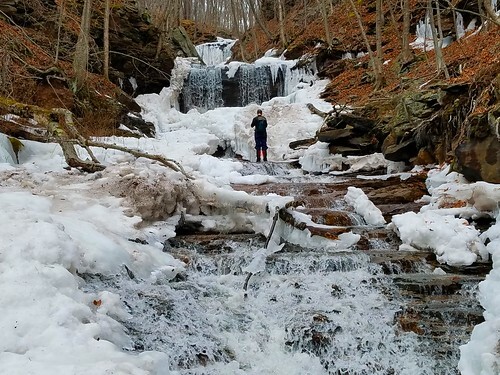 We left the road before reaching Opossum Brook and crossed the icy cold Mehoopany Creek. We soon entered the Waterfall Gorge, one of the gems of SGL 57. This narrow gorge features four waterfalls, and many smaller ones. The tallest is about 50 feet. It is remarkably beautiful. At one point in the gorge, I looked up to see waterfalls leaping down over ledges. 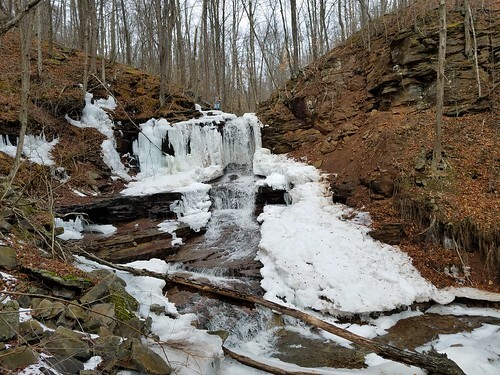 This is a very steep gorge, so it is difficult to get around the falls, but the scenery is worth it. It is possible to go behind the top two falls. We then hiked to the southern rim of the gorge to a large cliff with a partial view. Here we found a well-used footpath, so we followed it. This footpath took us to the next stream to the west, which we crossed near a private property line. 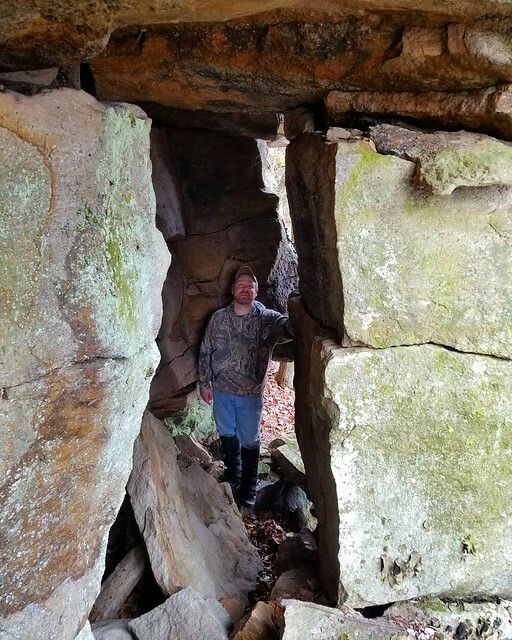 The trail continued, and we came upon some large cliffs and overhangs with a “rock house”, or a small room of rock with openings for windows. Our hike passed some rock outcrops and chasms and then followed a ridge with thick, towering blueberry bushes. It was a wonderful trail. This trail headed north, and we needed to go west, so we dropped down to Mehoopany Creek, where we came across another well used trail. There appears to be a whole network of trails that I hope to explore someday. This trail headed north along a stream, so we left it, crossed the Mehoopany Creek, and hiked upstream. 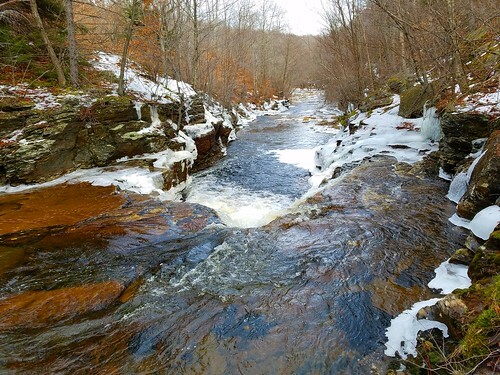 I love this section of the Mehoopany Creek because it is so isolated and beautiful. We enjoyed Black Bear Falls and its grotto and soon Mythical Falls came into view with its broad veil of water. A side stream cascaded down nearby. It is such a gorgeous spot. The trail system we discovered also accessed Mythical Falls, as we saw the trail approach it from the other side of the creek. We then explored some impressive boulders and cliffs above Mythical Falls and then hiked back out to our cars. This place should be a national park. For the map above, the yellow denotes established trails or gated roads. 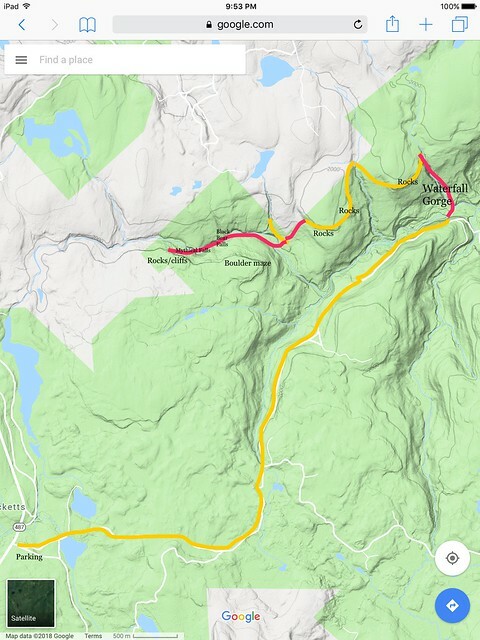 Red is the off trail route. It is 4.5 miles, one way, to the Waterfall Gorge. 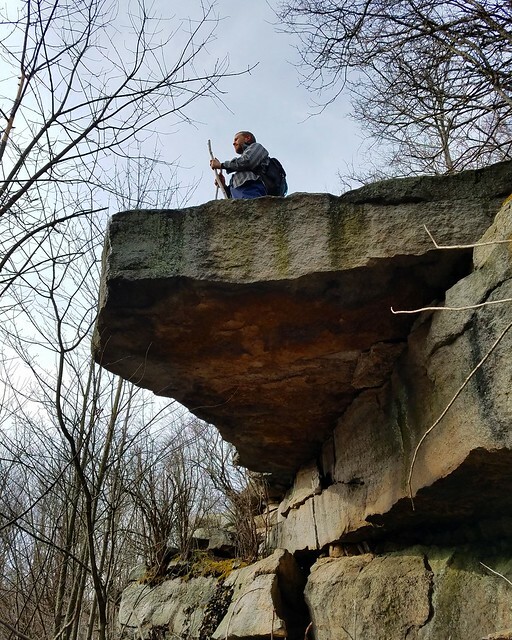 This entry was posted in Uncategorized and tagged Hiking, Mehoopany, pennsylvania, sgl 57, waterfall by endlessmountains. Bookmark the permalink. I have always looked at the that end of the creek but the 8 mile round trip on the road has always put me off. Have thought of using the mountain bike to get in there and then explore on foot. The road looks good from Google Earth. Any comment? Road is in good shape.